Air Canada Ease Passengers Traveling With Families. While it would be difficult to find someone in the world who has uttered the words "I love going to the airport", the pain of air travel only increases for families traveling with small children. The joys of fatherhood do not include dragging your weight with an extra gear while grumpy kids are on their backs. To make travel a bit easier this summer, Air Canada is launching several new, family-friendly services especially designed for customers with young children. On the one hand, the airline and its subsidiary brands, Air Canada Rouge and Air Canada Express, will offer dedicated check-in counters for families at all of its main central airports. The airline also offers families the selection of courtesy seats, so they can keep the whole group together on board the plane. "Summer is the time of family travel and Air Canada is pleased to offer new special services to make each trip easy and memorable for customers with young children," said Benjamin Smith, airline president and COO of Air Canada. "With Air Canada Family Summer Travel Services, we are presenting programs on board and at the airport that will simplify all aspects of the families' travel experience during their summer vacation trips." Parents will enjoy peace of mind, so they can share the delight of their children with the magic of flying and freedom of summer ". Other features of the program include pre-boarding for families with children under the age of six, a free Air Canada Skyrider activity book (for children up to 11 years of age) and a priority reserve in case of changes in the schedule. The airline also continues to offer its Unaccompanied Minor program (fares apply) for children between 8 and 17 years old, who travel without a parent or guardian on non-stop flights. Children traveling alone will do so under the guidance of a dedicated agent at both departure and arrival airports and will also be regularly supervised by a flight attendant on board the aircraft. The airline has also created a website for family travelers, which is full of tips and suggestions. There is even a blog with aspirational travel articles, which include titles such as "The best museums for children in London" and "The five best: Travel books for children". 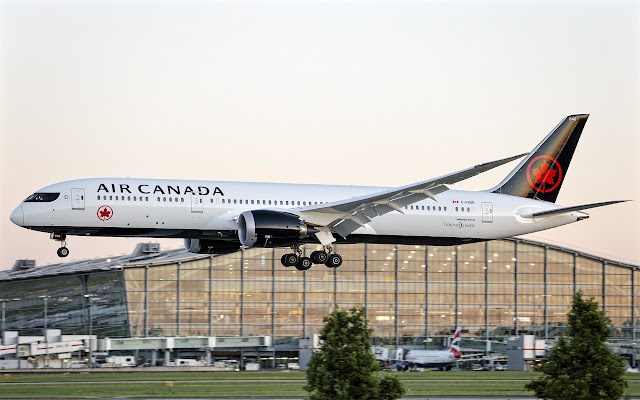 Air Canada offers convenient connections throughout North America. In addition, the airline recently announced that it will launch 25 new routes this summer.